A complete gut remodel of an existing shared kid’s bath in a contemporary home. 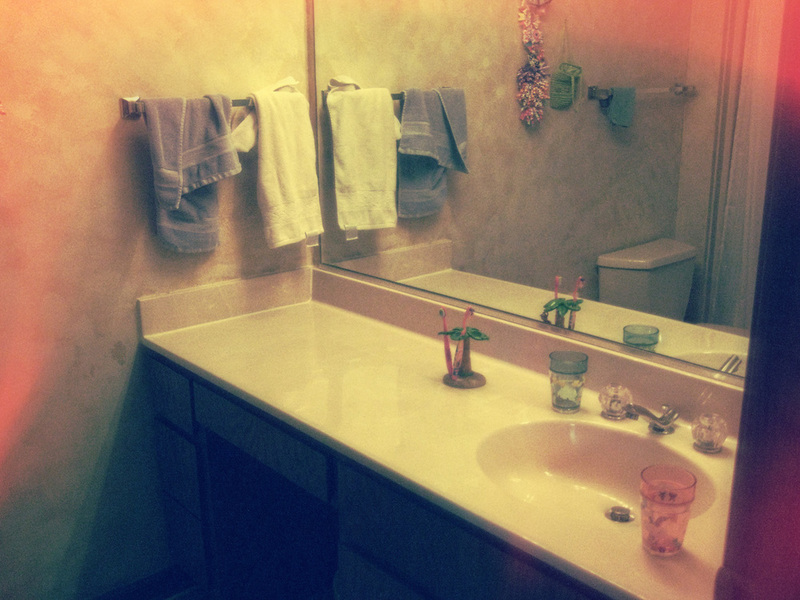 A second sink was added replacing a single sink existing. 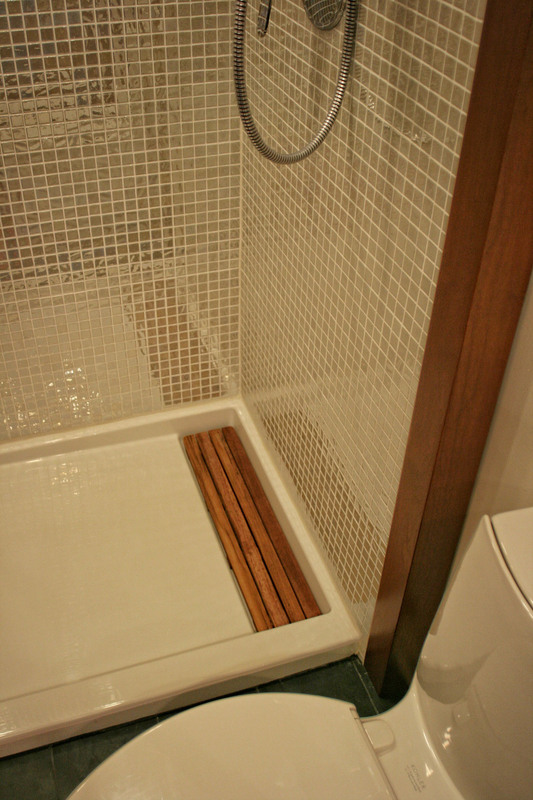 New cabinetry matched both existing millwork in the house as well as new teak accents in the new shower made to get wet. A shower receptor with reflective white recycled glass tiles replaced an existing tub enclosure, thus visually opening up and brightening the small space. Towels and wash clothes are readily available while they provide an accent color and texture to the room. Custom cabinetry design, fixture selections, product selections and finishes by gordon architecture, inc. in collaboration with the home owner.